Method: traditional, in stainless steel tanks and then left on the “lie” for 4 months. Characteristics: this has a pale yellow colour, with a floral nose. On the palate it is fruity, rounded and fresh with a hint of vivacity and a touch of sparkle. 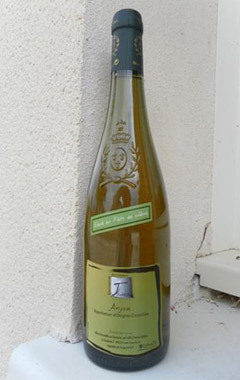 Food and wine: Anjou Blanc is drunk with seafood, fish in sauce, or shellfish: also with savoury pastry dishes, quiches and savoury tarts, poultry and white meat. It goes well with avocado, and goats’ or blue cheeses.